SmallCorp makes Aluminum Channel Fillets for our Tig 7 and Tig 8 aluminum picture frames, and for custom frame profiles. They work especially well with very large picture frames. 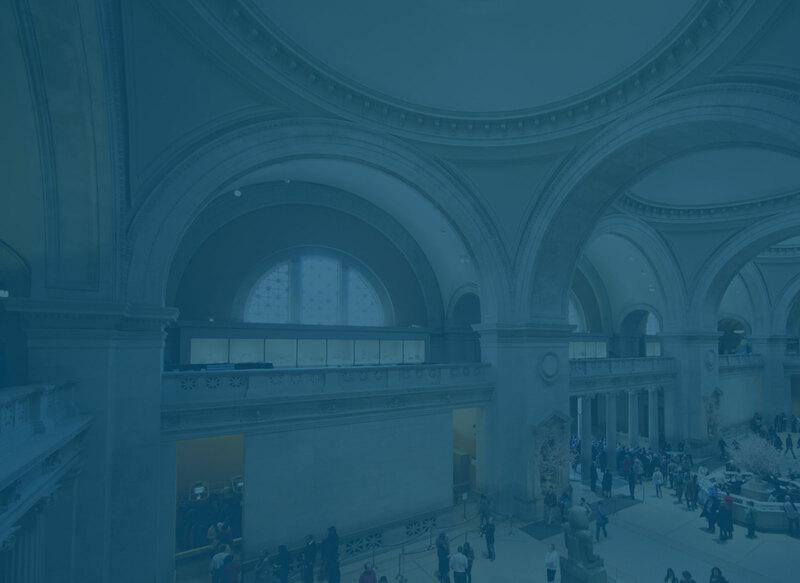 The fillet creates a uniform space between the art object and your glazing. These fillets are sized and finished to match the frame. 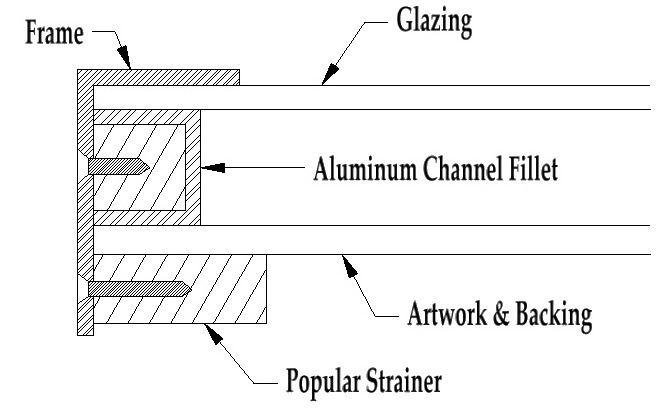 We offer aluminum channel fillets in standard depths of 3/4”, 1” or 1 1/2”. Channel fillets are mounted by screwing through the outside of the frame into a wood infill glued inside the channel. This means that there will be two rows of visible screws – one for the strainer, and one for the fillet. Our channel fillets are sized for installation with box lap joints. Tape/Adhesive is not included, so you’ll need to supply your own.